Hi, folks! I'm working on an XCOM inspired fantasy game. It is not a carbon copy, and the most striking difference is that I don't use RNG, leading to numerous different design decisions. For example, instead of chance to hit, to penetrate high defense armor, attacker has to spend action points. This allows for example using some at first glance useless unit, with a lot of action points, like say bird, to distract defender, while slow heavy hitter does the damage. 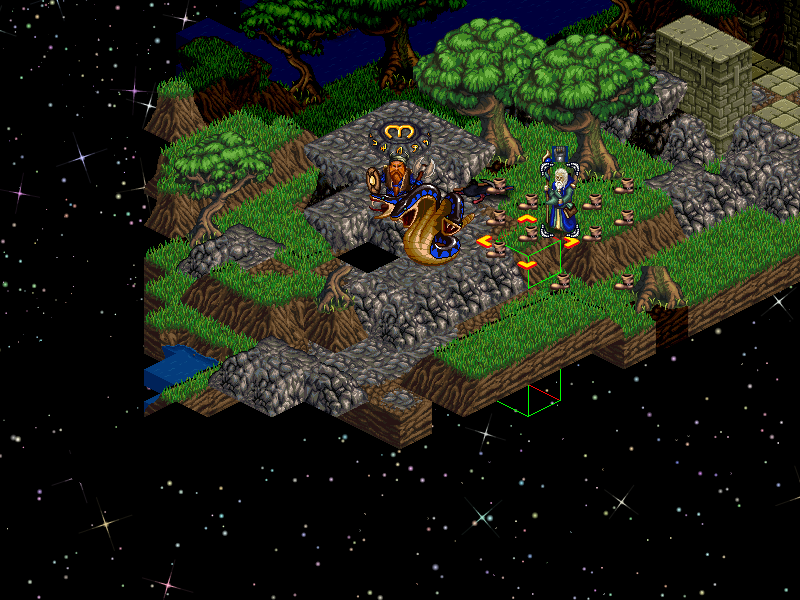 The next difference is the shift towards spellcasting and terraforming map. For example, if player has imp worker, it can dig underground passage into a prison under castle, free inmates there and then attack the castle from underneath. The other way would be flying over moat (with flight spell or flying creatures), teleport there, pass through walls with wraiths (which also see through walls), create elevation to reach castle wall. Obviously, player can just storm the heavy guarded front gate. 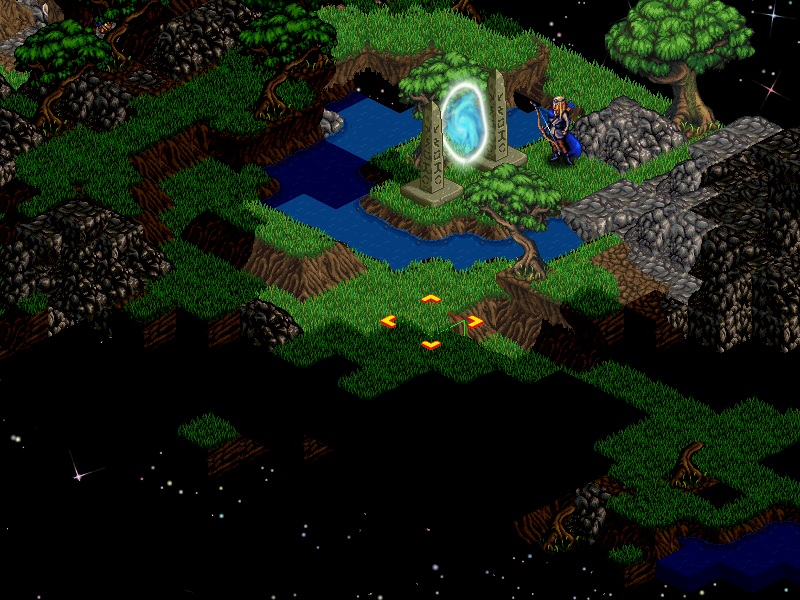 The game engine also supports portals and large doors (you cant have a proper castle with puny little door). And AI uses them too. Still the game borrows a lot of elements from Gollop's games, especially Lords of Chaos and XCOM. I.e. there is chryssalid style monsters and a raise dead spell producing undead units, which are very resistant to non-enhanced attacks. The game has a world map, invasion threat and randomly generated maps (cities, dungeons, etc...), but I also plan adding ability to play as bad guys instead. Do you have any suggestions or wishes for such a game? For example, what do you think should happen if two units teleport into the same place or if unit tries to teleport into the fog of war ends up teleporting into a wall? For now, just strongest unit survives (i.e. the wall). Very nice mate, i would like to test your game then i could you my 2 cents worth , please PM me if you want a game tester. Beautiful pixel artwork! Would love to see a demo video once you have a working alpha build. In deed it looks promising. Overall right now I only see couple of things that could be improved in graphics. First of all this selection box should be have some graphics not some green lines (or it is only debug thing?). Second is to show not visible tiles as black, right now edge of visibility look too "sharp" (tiles look like they hangs in space because you do not see other around). The cursor is a paceholder which will be eventually replaced with proper graphics. Yeah. Fog of war needs future improvements. But for now it is of lower priority, than implementing features. I'm curious how Magic & Mayhem and XCOM games implement FOW. I did it though bruteforce raycasting. But I doubt original XCOM used such resource intensive routine. This depends on number of "rays" you use and more importantly what limitation you can impose on this. First of all this will be only calculated when unit move to next tile, this mean this will happens only once per second, in this time you could render normal graphic using raycasting. Some time ago I added new light engine to OXCE that propagate more realistically (walls block it). Each source of light was separately calculated. This was a lot more computation intensive that simple FOV calculation. Example of hardest case was opening doors when on one side of it rage fire storm. Then I would need update around 20 source of light for some large area. Naive implementation give 1s lag each time you open/close door. After adding lot of limits and optimizations now this is not visible (at least on my hardware ). The "I don't use RNG" is a complete deal breaker to me. It's fine in a card game, but a combat strategy? Sorry, but no. Naive implementation give 1s lag each time you open/close door. 1. Random decisions are still allowed for AI. If AI has two similarly powerful spells, you will never know which one AI will use (unless you manage to lock AI's ability to cast that spell). Or say what route AI units will take to attack player. 2. 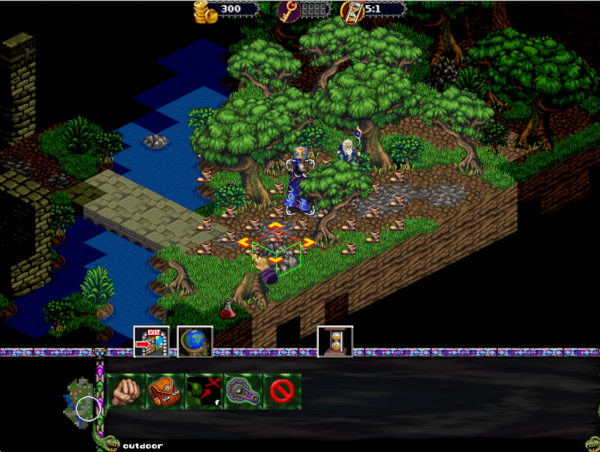 Maps are randomly generated, with items also placed randomly. 3. Player creature and spell selection is also slightly randomized. There could be no elven mercenaries available at that time, because they are at war with dwarves. Or shortage of ingredients for that flight spell. So there RNG is still here, just the non annoying kind. So if you want to polymorph that orc into a chicken, you will always get a chicen and not a dragon. So yeah, it is more of a puzzle game. And the game is designed with multiplayer in mind, so RNG is a no-no for that. Unless you want players to insult each other about being lucky n00bs. Although I still plan to add additional RNG-mode for players wanting that kind of experience of having to miss 50% of time. But that is of lower priority, because there already a lot of games with such RNG. Thanks, I understand your decision. It's just not a game for me... I don't care for e-sport mechanics. Yup. It is hard to make a game that will cater to everyone, so for now I'm trying to make something unique. I also plan adding different campaign modes, beside scenarios and XCOM style: one roguelike, and the other similar to what you see in Cortex Command. In future I hope making it into a very modable open source engine, which could be used to implement any similar game, from games like Final Fantasy Tactics like to Dwarf Fortress and Minecraft type games. I checked this XCOM reboot when it came, and found that the reboot is completely different game from original XCOM. It seems devs looked over screenshots from original XCOM and made unrelated game with the same name. Nice graphics, but everything else is static and scripted so tightly, you may as well watch a TV show instead. It is like visiting paleontology museum vs traveling with time machine to see real dinosaurs. Even worse story happened with System Shock reboot, where devs showed nice demo, made selfies with Warren Spector, collected money and ran away with them. I checked this XCOM reboot when it came, and found that the reboot is completely different game from original XCOM. It seems devs looked over screenshots from original XCOM and made unrelated game with the same name. There's project lead's interview floating on the net where he talks about making an true sequel prototype, presenting it and then Sid Meier showing him the light. Pathetic, really. But explains the mess. Edit: ah, now I get it. It's your own runtime and your own lisp. Very cool.